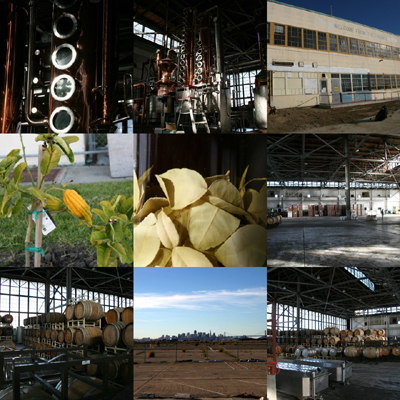 "Hangar One (the raspberry is dynamite)"
on Chowhound's Bay Area Message Board. I checked it out and I was blown away. It's not sweet, but its so fruity, so like real raspberries, it's been my tipple of choice ever since. 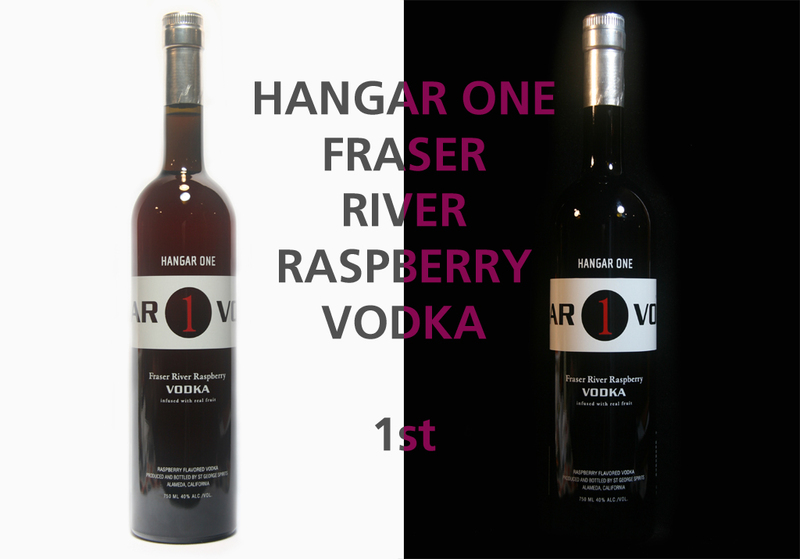 What makes Hangar One so special and why is so much better than other fruit Vodka? 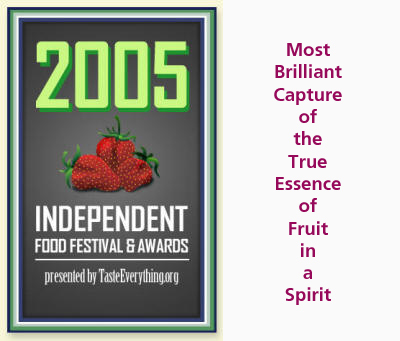 Unlike other Vodka makers, St George use only real fruit for all of their Vodkas instead of fruit flavouring. They only source top notch ingredients. The raspberries they use are fresh, ripe, Meeker raspberries from the Fraser River Valley. 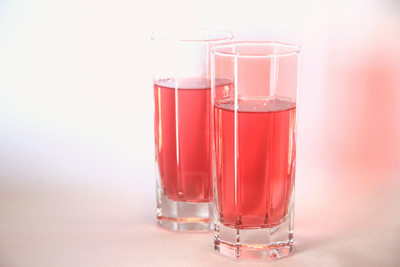 The unique pink colour comes from the reintroduction of raspberry juice following the distillation process. The raspberry vodka is photosensitive so, in contrast to their other flavours, they bottle it in dark glass so it keeps its delicate colour. St George only did one bottling of their Raspberry Vodka last season, which makes it a very limited edition. Be warned, before you form an addiction, stocks are already low. St George have recently opened a tasting room so now you can go and check out their liquors and Hangar for yourself. They are situated at the Alameda Naval Base, just across the Bay Bridge from San Francisco. The adjacent Caddell & Williams store, one of the few places, at the time of writing, that still has Raspberry vodka availability in the Bay area, will open to the public Wednesday through Sunday, from noon to 7pm. Further details and directions can be found here. The address is 2601 Monarch Street at Alameda Point. Those who are unable to visit can check out my views of and from St George's Hangar here. Click on the picture to enlarge. Once the raspberry runs out, you'll have to wait until later in the year for the next batch of this heavenly nectar. In the meantime you can always satisfy any needs you might have for an insanely fruity vodka with one of their other unique and glorious flavours. Mandarin Blossom, Buddha’s Hand Citron and Kaffir Lime Leaf. Hangar One is currently only available in the United States. Be sure to pick up a bottle as your duty free allowance if you are on travels in America. Hangar One Raspberry retails at $36 a bottle. Buy online (US only) here. Oh, now I am thirsty, and only pink vodka will do. Just the thought of it makes me swoon (yes, I am special that way). Stopping by to say hello and to add you to my blogroll so that I can drop by more often and be tempted with your wonderful posts. I'm lucky thay don't make a strawberry one...I would get drunk all the time. I am such a big fan of Hangar One raspberry. It's so expensive but worth every penny. Oh, wow...now THIS is special. The colour alone is enough to make me want to buy it and I'm not even a big vodka drinker anymore. I have a bottle of vanilla stoli for making creamsicles (and NOTHING else) but this gorgeous infused elixir beats that stuff hands down! Oh, and *ahem*...I have those very same glasses! Coincidence? I THINK NOT!